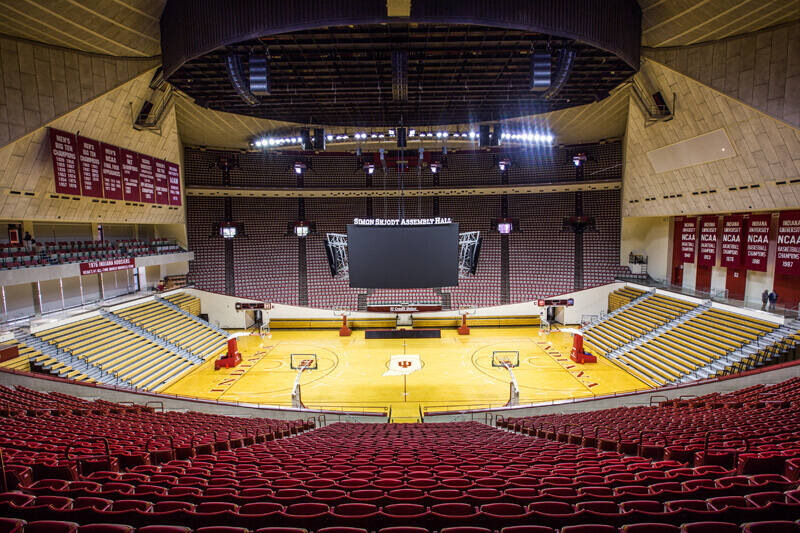 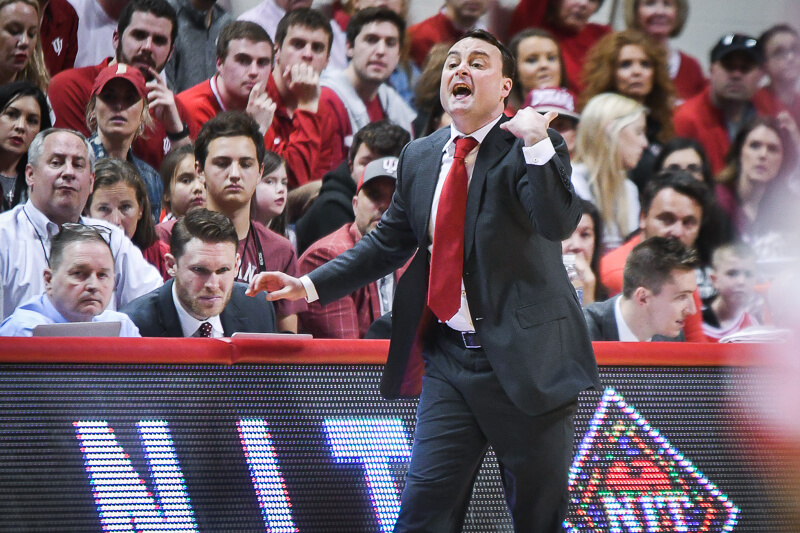 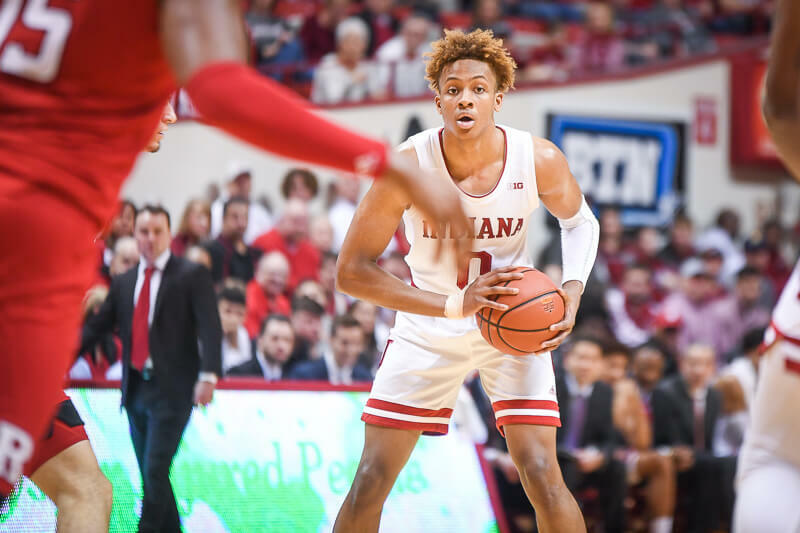 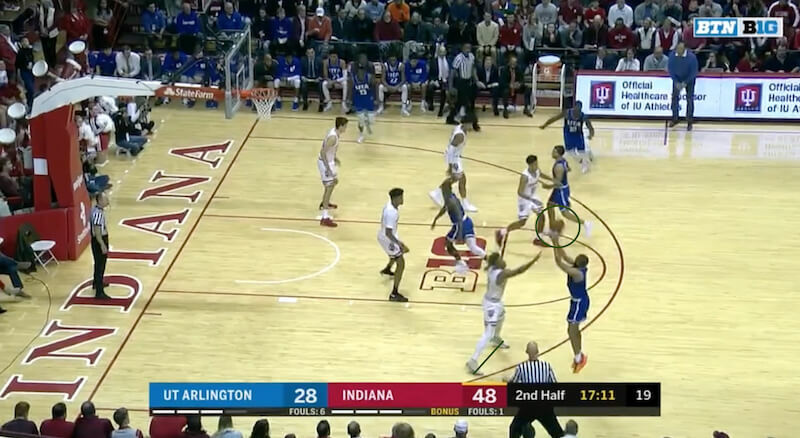 In Indiana’s win against the Mavericks on Tuesday night, UT Arlington heated up in the second half and hit a number of 3s to make the game interesting. 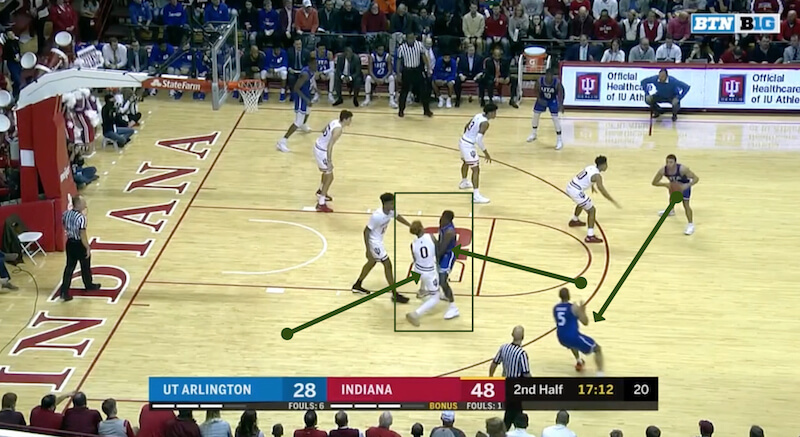 While some were heat checks, the Mavericks rising up and hitting contested 1-on-1 triples, others came via their motion offense. 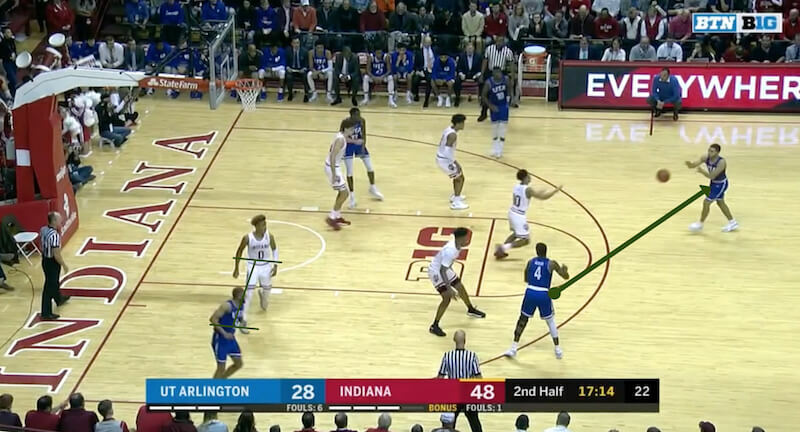 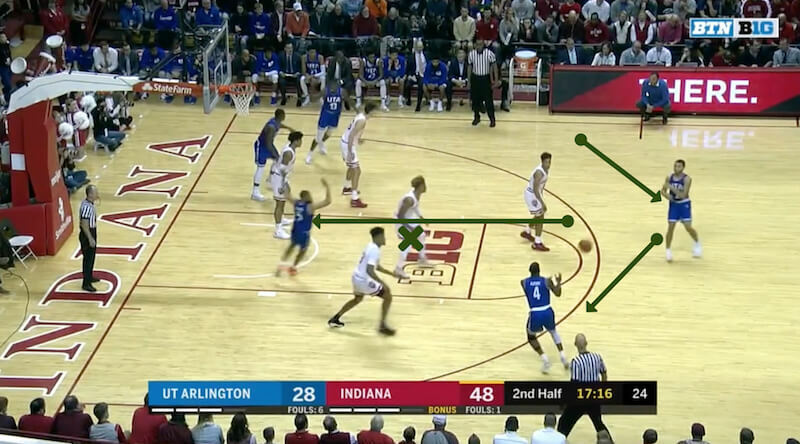 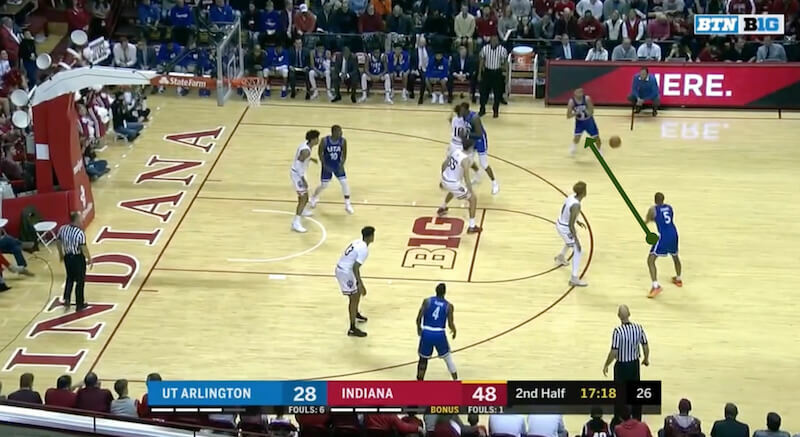 UT Arlington set a number of off ball screens on a tired, minutes-heavy Indiana defense, running them this way and that, waiting until someone got enough space to launch from the perimeter. 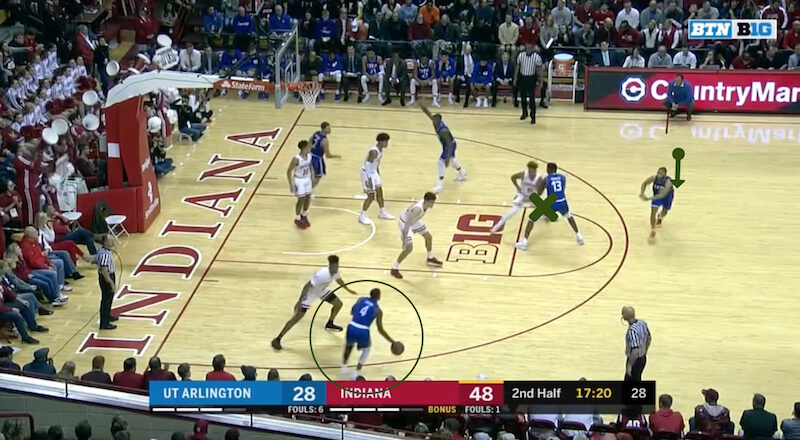 Langford seemed to get worn down a bit on this one.